We can’t explore the Jeep without including the history of this remarkable vehicle. Back in 1908 John Willys bought the Overland Motor Division from Standard Wheel Company. With big aspirations and lofty goals Willys eventually renamed the company to the Willys-Overland Company. John had big plans and carried them out and them some because the newly formed Willys Overland Company was the second largest automaker in the United States from 1912 to 1918. Don’t worry I will be getting to the Jeep brochures and sales catalogs soon enough. The Willys Overland Company when through many ups and downs, acquisitions, mergers and buyouts. If you want all the details visit Willys Overland at Wikipedia. However we are focusing on the Jeep here and Jeep brochures so lets get down to the Jeep part of history. 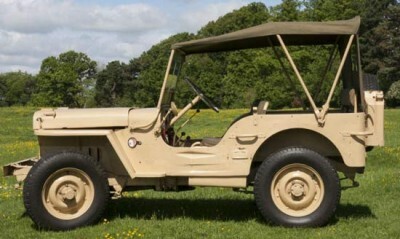 What we all think of when we say Jeep is the first version, which was called the Willys MB and was released in 1941. However the Willys MB wasn’t called a Jeep yet, but that will come soon enough and so will the Jeep brochures and sales literature that we promised. The Willys MB production was actually a combined effort between Willys, Ford and American Bantam that produced 8,958 vehicles that year. Willys Overland was one of the larger contractors to the U.S. military which supplied 653,568 military Jeeps. 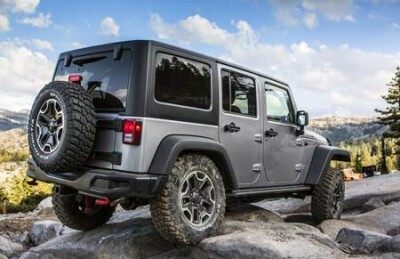 There isn’t a conclusive story about the origin of the Jeep name, but there are several theories. One that most people believe is that Jeep was a nickname for the general-purpose military vehicle known as “GP” which got turned into Jeep over the years. 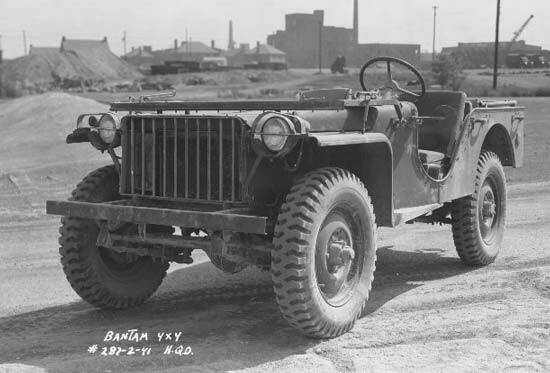 The name stuck and after the war Willys filed a trademark claim for the name and thus the formal Jeep name was born. Hold on the Jeep brochures are coming soon enough. With World War II in the rear view mirror Willys decided to focus on the Jeep and drop the production of automobiles. The first vehicle introduced in 1945 was the CJ-2A, basically a Willys MB less the military extras. Willys tried marketing the Jeep to the farmer as tractor replacement, but that didn’t work out, however the vehicle did become popular with ranchers, hunters and farmers as utility vehicle because it was the only 4-wheel drive factory built vehicle. 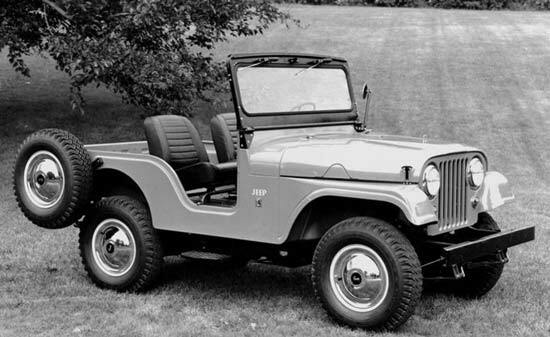 The rest is history because over the next several years there were many variations and in 1948 Willys introduced the Willys Jeep 4-wheel drive wagon or the first SUV. Willys Overland was purchased by Kaiser Motors in 1953 and eventually changed the named to the Willys Motor Company. Then in 1963 the name was changed to the Kaiser Jeep Corporation. It wasn’t too long after that in 1970 when American Motors Corporation (AMC) purchased Kaiser Jeep Corporation when Kaiser decided to get out of the automobile business. 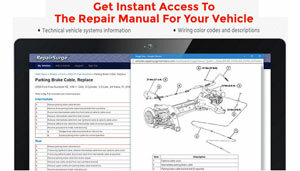 AMC started using their engines in Jeep products, which actually increased the performance of Jeep vehicles.The Renault Company purchased a large stake of AMC and took over the operation of the company. They continued to build the Jeep CJ models until 1968. The Chrysler Corporation then purchased AMC in 1987 and the new 1987 Jeeps were YJ models and then the TJ model. However the YJ and the TJ was not the same caliber vehicle as the CJ vehicle other than the appearance. Talk to any of the real old-timer Jeep lovers and they prefer a CJ model Jeep to an YJ or TJ. The Jeep brochures don’t do it justice, but there is a difference. Today Jeep is part of the Chrysler Group, which is a division of Fiat.